Address: Cardigan Fields, Leisure Park, Kirkstall Road, LS4 2DG. Cardigan Fields is located on Kirkstall Road and there is plenty of FREE parking. Cardigan Fields is just a 10 minute walk from Burley Rail Station. If you are coming from Horsforth/ Harrogate, cross the footbridge then follow instructions below. 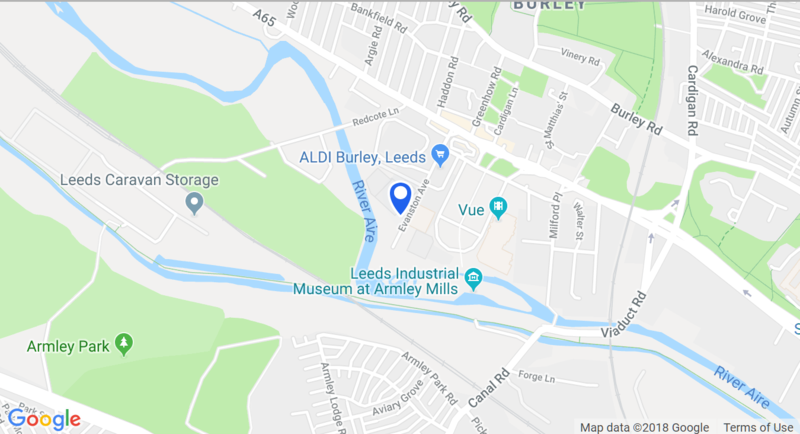 If you are coming from Leeds, head down to Beachwood Crescent and turn left. This turns into Cardigan Lane. Once on Cardigan Lane continue straight until you reach Burley Road. Cross the road, turn right then take the first left onto Greenhow Road. You will then Reach Kirkstall Road and see McDonald's on the other side. Cross over and you have arrived! There is FREE motorcycle parking and a set of cycle racks located at the side of Virgin Active.